"Thorough coverage of the entire field of Biblical and religious knowledge"
This encyclopedia is truly an exceptional work. Over 200 contributors of various conservative religious denominations assisted its two editors, Dr. John McClintock and Dr. James Strong (author of Strong’s Exhaustive Concordance). The contributors included such noted scholars as Charles Hodge (Systematic Theology) and Philip Schaff (History of the Christian Church). Together their 20-year effort resulted in an encyclopedia that can be relied on and trusted by everyone. 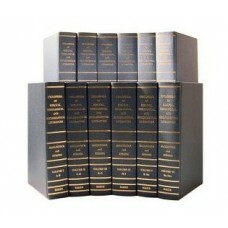 Upon publication, it was considered the best survey of biblical scholarship available. The Encyclopedia is packed full of the information you need to understand the significant topics, people, places and words that you encounter every day in God’s Word. Take advantage of its extensive descriptions of the life of Christ, Paul and other important Biblical characters. Or explore the meaning of terms like “evangelical” or “millennium.” Its 49,000+ articles mean you’re more likely to find the article you are looking for in the Encyclopedia than in any other Bible dictionary or encyclopedia! Our Bible Analyzer edition of the McClintock & Strong Cyclopedia includes all text and images contained in the original printed edition. Plus it has links to other articles and topics within the entries so one can jump instantly to a referenced topic. 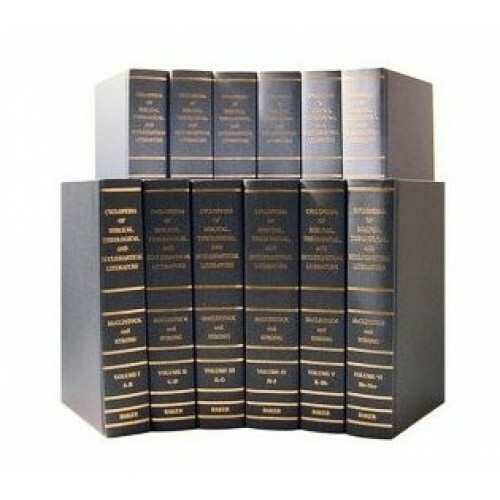 This is by far the most extensive and comprehensive Cyclopedia or Dictionary we offer. The text also has all the Hebrew and Greek text in Unicode so it can be easily copied and pasted. This is a huge resource with approx. 100MB of text and 100MB of images. Even compressed for distribution the file size is over 125MB. When this Bible Analyzer edition of the MSC was first published only one other Bible software developer offered it. Their price was $129. The Bible Analyzer edition is only $10!